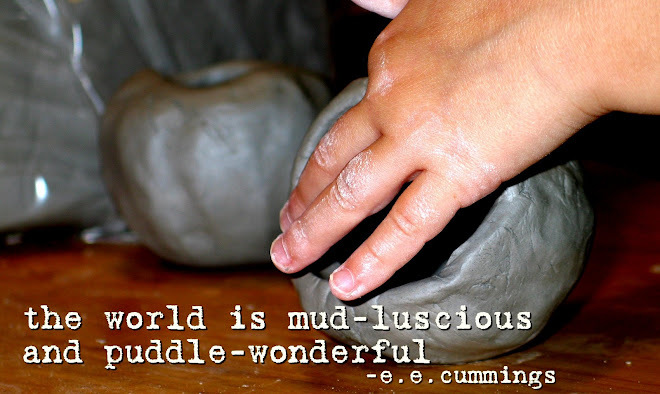 "Mud Buds" is art classes for children (and occasional adults). Students not only gain hands on experience creating art but also learn some of the history behind art, artists and styles of art in many cultures across the world. available in June and July. Information on summer art classes will be posted at the end of May each year. Size: 5 student spaces available per class. Specific information about classes will be made available in the posts to the left. That information will first come available in July 2009 for the 09-10 school year. I will travel to your home and teach a unit of classes to a group of children (or adults) that you put together. Cost: $50/hour for the first 5 students. $5/hour per each additional student. (be sure that you have sufficient space in your home for larger groups). Materials fees may apply for some projects. Travel fee will apply for distances that are very far from my home. I generally only offer one or two art classes in my home that I plan and put together by myself. Sometimes the date, time, or theme that I choose does not fit with everyone's schedules and preferences. In that case I can get together with you to schedule your own art classes based on whatever you want your group of kids (or adults) to learn and we can do it whenever it would be good for you (well, it has to fit in my schedule too). Cost: $50/hour for the first 5 students. Additional students may be added for $5/person/hour, but my house is not very big, so I cannot host large groups. Additional materials fee may apply for some projects. Discounts may apply, contact me for more information on organizing these types of classes. I have a baby due at the end of September '09. I am doing my best to schedule around the birth and recovery. Please be patient with me as I plan out the School Year classes right before and after the baby is born. I hope to fit some small 2 day(one for building, one for glazing) clay classes before the holidays! Cross your fingers all of you mud lovers! I am sorry to inform you that I will no longer teach classes in Mesa. My family has relocated. If I come across anybody that teaches art classes in the Valley then I will send you his or her info so that you can contact them. Fall Art Classes: The Elements of Art. I have 2 spots left. This year I am planning my art classes in Units. Each class is still $10 per class, however, children should plan on attending all of the classes in the unit to get the full experience. My classes are multi age level. The youngest age that I will take for my classes is 5. I also take older students and adapt the lessons and expectations to each child's ability. The units are multiple consecutive weeks and range in number of weeks. All school year classes will be held on Mondays from 3:35 to 4:35 at my home. The dates of each unit will be given under the unit description. I will post the units a few weeks before they are offered. Spots will be given on a first come first serve basis. Rather than have you pay me to watch your children draw, I like to use a lot of our class time for meaningful instruction. There is a chance that your child may not complete an entire project in class. Please encourage them to complete it at home (or better yet, complete it with your family while they teach you what they have learned) and then bring it back the following week to share with the class. Sign up by e-mailing me at heidileagarner@hotmail.com. I will then e-mail you a confirmation of position in the classes as well as directions to my home and my phone number. If you would like to take classes but cannot fit this time in your schedule, or all of the spots are full, please contact me about making other arrangements for a group organized by you. We can see what works with both of our schedules! General information is at the right of the posts. The elements of art are what some people like to call the "building blocks of art." All art is made up of Lines, Shapes, Colors, Textures and Value. A piece can contain one or a combination of 2 or more of the elements of art. In this unit we will explore each individual element, sometimes on its own, and sometimes in a combination with others. In many of the units students will lean about some famous artist and how they used the elements of art in their own work. Monday August 17th: Alexander Calder's Lines. Alxander Clader (1898-1976) was a famous American Artist well know for his wire sculptures and mobiles. In this lesson students will create "Calederesque" line drawings in which they do not remove their pen from the paper. Students will also make wire sculptures using pipe cleaners. 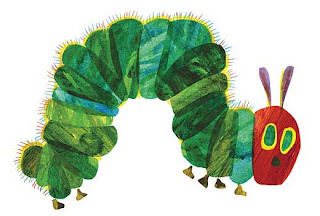 Monday August 24th: Eric Carle's Whimsical Shapes. Eric Carle is a well know children's book author and illustrator. His illustrations are unmistakable. Through the combination of shapes Carle is able to create whole collage worlds of plants, animals, bugs and people. In this lesson students will explore creating a picture with shapes, but not after creating their own Eric Carle style paper. Monday August 31st: Exploring Color mixing. There is a lot to learn just about color, but one of the first things kids will learn is how to use the primary colors (red, yellow and blue) to create the secondary colors (green, orange, and violet) Can you believe that this painting below was painted using only the primary colors? That is right only 3 colors were in my pallet! In this lesson students will create their own paintings that display a whole rainbow of colors, however, they will only have red, yellow and blue in their pallets! 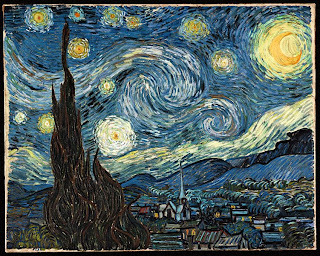 Vincent VanGogh is a very well know artist, however his work was not recognized until after his death. He is well known for his bright colors and thick paint textures. Although the textures on his work are "real" the textures on the work created by the students in this lesson will be "implied". In this lesson students will create Van Gogh style art work by using a texture rubbing method and crayons. Monday September 21st: Value: The lightness and darkness of a color. Value in art work does not always have to do with how much it is worth, in fact value has to do with the lightness and darkness of a color. In this lesson students will add white to a color to change it's value. Then they will then add a silhouette of a beautiful desert scene to create a very nice desert landscape painting. I will be offering Art Classes one day a week this Fall! More information will be posted about the classes in July. But here is a little heads up on what to expect. Unfortunately I will not be in a bigger house this Summer (or the fall- as it is looking) so I won't have access to my Kiln until the weather cools down. (Sorry, clay is so fun and messy- but please plan on clay classes after the NEW Year.) I don't want to get any hopes up, but if there is any possibility of clay before then I will send you all an e-mail so you won't miss out! And it will be posted on the blog. This will be a "unit" of classes based on the Elements of Art, so plan on attending all of the classes offered. There will be 4 or 5 classes in this unit. Sign up will start after the class descriptions are posted on the blog. I am going to try to set something up so that you can sign up to get notified of new postings on the blog. I'll e-mail all of you when this happens. All classes are full at this time! Theme: Op Art Pop Art! We Just Can't Stop Art. We will be learning about the Modern Art Movements of both Pop and Op art while investigating new media and developing our artistic skills. 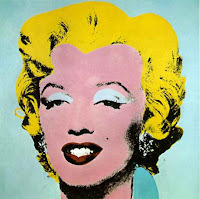 The Pop Art movement started in the mid 20th century and focused on popular culture and icons. 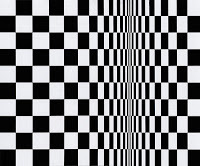 Op art, also a modern art movement, is based on optical illusions in the work. Sign up is first come first serve. You can sign up for any number of classes that interest you. Sign up by e-mailing me at heidileagarner@hotmail.com. I will make a note of it on this blog post when a class is filled up. I will be out of town the first two Wednesday's in July. Art classes will not be held. AND... we are in the process of getting our house rented and moving into a larger home this summer. We are planning to stay in the area. Hopefully there will not be an interruption in our schedule. If there will be an interruption I will let you know as soon as possible. Sometimes an hour is not enough time to finish a project. Students will be provided detailed instruction and may find that they run out of time during our class. They should finish their work at home, and may even want to teach their parents and siblings what they have learned and make more art work using the information that they have acquired in class. We will be using very common supplies for our projects, and they will be provided for use in our classes. If your child needs to complete a project at home you may have these materials already or they can easily be found at Michael's or even Walmart. Some of Warhol's most famous works included his Campbell's soup cans. Students will be learning how to draw cylinders, a 3d object, on a 2d surface (paper). They will be showing depth in their work. They may draw a pop can of a popular canned beverage or make up their own designs. Warhol was also well known for his portraits of popular celebrities. He often made several silkscreen prints of a celebrity or public figure and displayed them on one canvas. This time the student will be the celebrity and we will "warholize" their portrait. In addition, I will need to be e-mailed a digital photo of your child (jpeg format). Just their head would be optimal. I will need this the Tuesday before class. 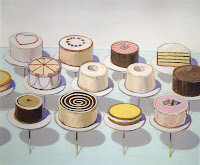 Wayne Thiebaud was born right here in Mesa Arizona, but moved to California soon after his birth. He is well known for his bright oil paintings of yummy desserts and candies. In this lesson students will use oil pastels to emulate the work of Thiebaud and draw their own dessert counters. They will also learn how to shade to create more depth in a drawing. 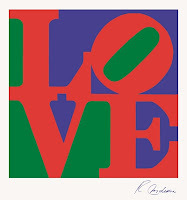 While Robert Indiana was not the only pop artist to use lettering in his art work, he has a special place in my heart because we are lucky enough to have one of his LOVE sculptures right here in the valley. In this lesson students will create images using words. (Think of the PBS kids show "Word World"). Claus Oldenberg is well know for his gigantic sculptures of everyday objects, including food! We will be doing just the opposite as we sculpt miniature foods. These tiny sculptures will serve as erasers once completed. Art that is both beautiful and useful. 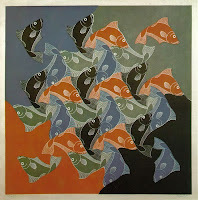 Escher was well known for his tessellations. We will be seeing how math and art can work together as we create these puzzling pieces of artwork. The work of Op Artist Bridget Riley seems to move or even radiate, but it is just paint on canvas. We will be making some works of art that almost pop off of the paper. also you can run a google search or a google image search to find the 2 that are not listed. I deleted my previous post on summer classes because I have changed my mind. We will be holding once weekly classes at my home in the afternoons. More info to come in the next weeks. I will also send e-mails out to those that have attended or shown interest in the past. If you would like an e-mail please contact me with your e-mail address. Sorry that this has not been updated as of late. We are still having clay classes in my home and I am also traveling to teach classes. I recently did a Girl Scout group and helped them pass off their ceramics badge. I am offering girl scout groups at a discounted rate so if you have a group please ask for details. I was shocked to see how much they charge at some of the big pottery decorating shops. I was a girl scout when I was a little girl and I am very involved with the Cub Scouts (den leader) so I'm glad I can be of some assistance. Our most recent projects in the clay classes taught in my home were our complted tea sets. This was a 3 day project. One day for the pots, one day for the cups and one day for the saucers, plates and cream and sugar. (and an additioal long glaze day). They turned out GREAT, as you can see. In addition the girls made pinch pot animal bowls. Over spring break we met for one long class and sculpted heads. They they are waiting to be fired and glazed, but I am very excited to see how they turn out. They look amazing as greenware. I am still planning on summer classes. I should have all of the details posted by then end of next month. Please keep posted. I'm a little tea pot! Happy New Year and we are back in full swing. We are working on a 3 class project. Last week we made the cups, this week the pots and next week the cream and sugar. Hopefully we will do saucers too! To sign up, get more information about a class, to inquire about private classes or to get on a mailing list for updates please e-mail me at. I consider myself to be a highly qualified art teacher. I received my associates degree in Fine Arts from Ricks College (now BYU Idaho) in 1998. I continued my education and received my B.A. in Art Education from NAU in 2000 after completing my student teaching at a DoDDS in Germany. I have been teaching art in the class room for over 7 years and have recently begun teaching private art classes in my home. I have a passion for creating and love to pass it on to my students. i'm a mostly stay at home mom that runs a whole lot and teaches art classes in my home. i love my kids and my husband and the things I get to do with them and for them. I love teaching art to my children and sharing my love with others.